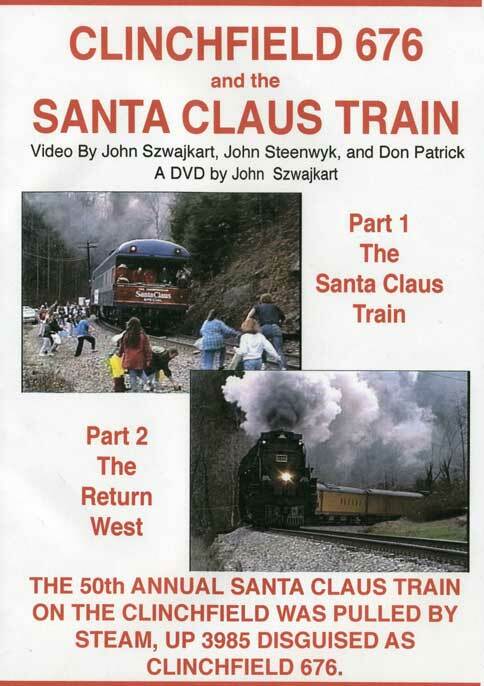 The Clinchfield Railroad was celebrating it’s 50th annual Santa Claus Train. 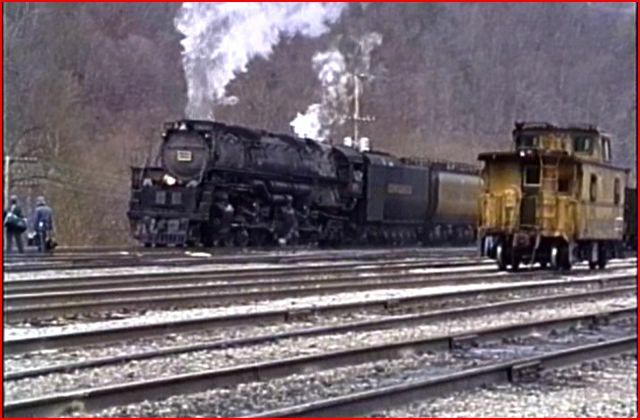 Union Pacific #3985 was transformed into a Clinchfield engine for the special excursion. 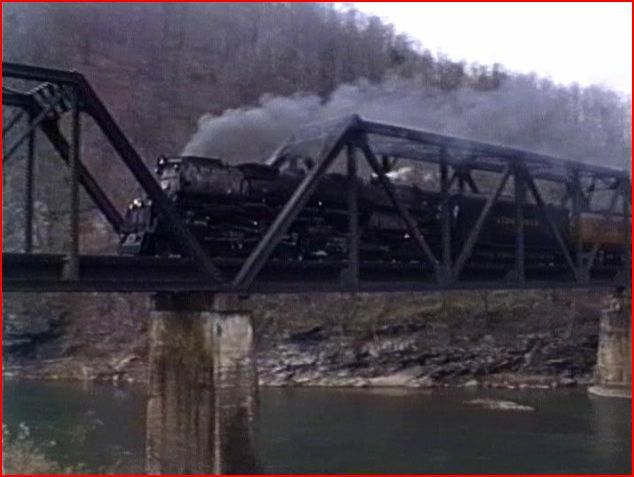 The 4-6-6-4 Challenger type looked similar to the same type, as ran on Clinchfield. 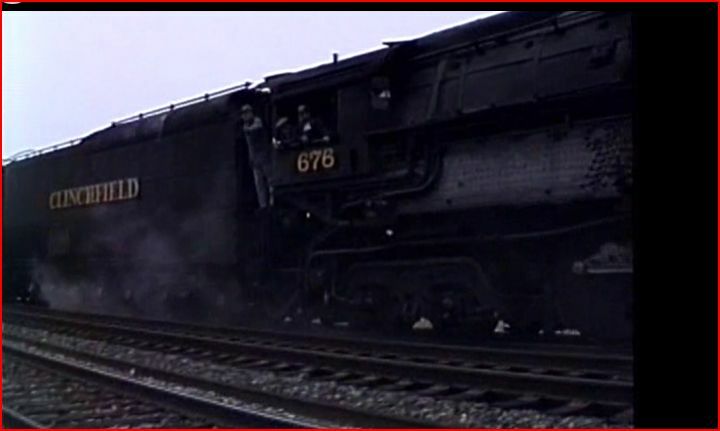 Some basic relettering and assignment of #676 was performed at CSX, Hinton, WV. 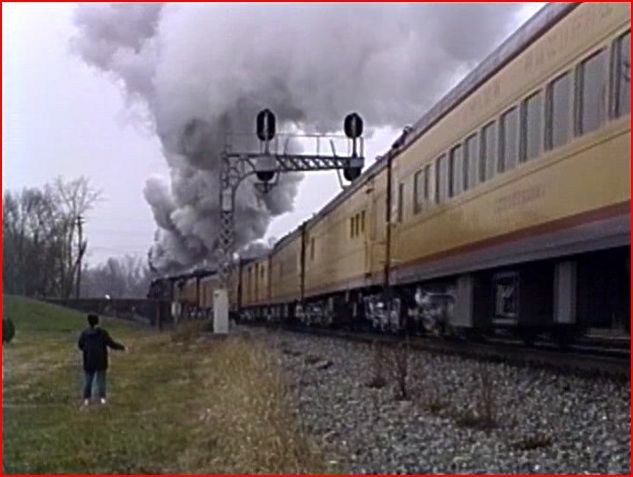 There are 5 days of steam train chasing, and railfanning CSX. 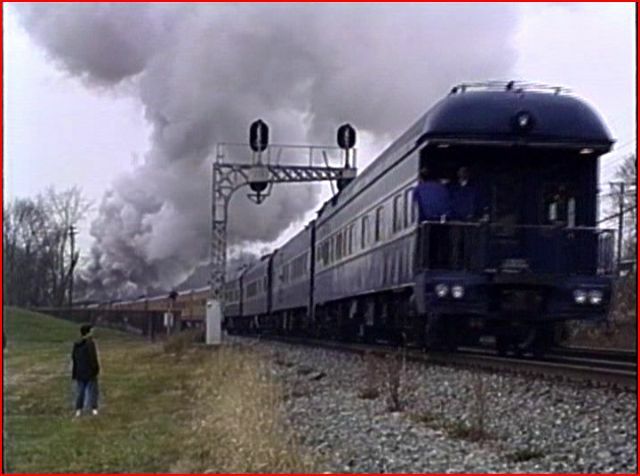 C&O trackage hosts the two bookends of arrival and departure. 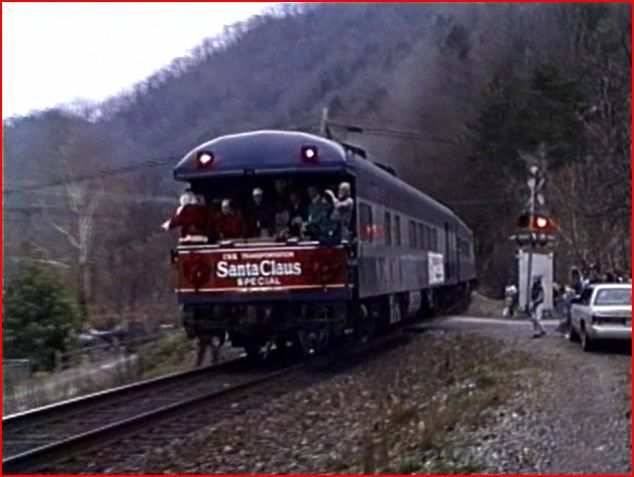 The Clinchfield has the Santa train. 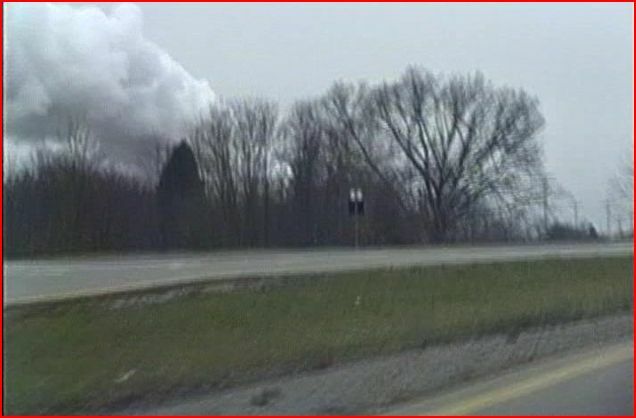 Additional CSX diesel power is on assorted trains. Too bad, much of it in bad weather. Like other John Szwajkart produced videos, there are no extras. Title screens denote a little information. What day and who’s tracks, some bits of general location. A couple of newspaper paragraphs update the excursions progress, or lack thereof. A few newspaper map shots are seen. Judge the map for yourself. No narration either. No modern onscreen graphics or chapter menu. Shot on video. Not a pretty presentation. These boys don’t get Santa, but they enjoy the passing train! 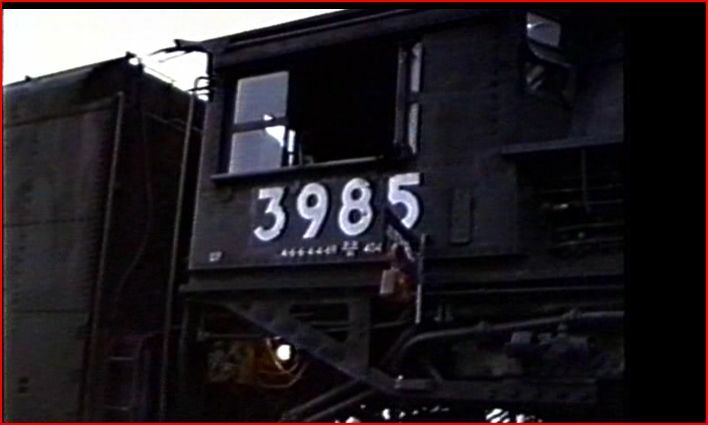 The story begins with the 3985 and it’s all Union Pacific consist. 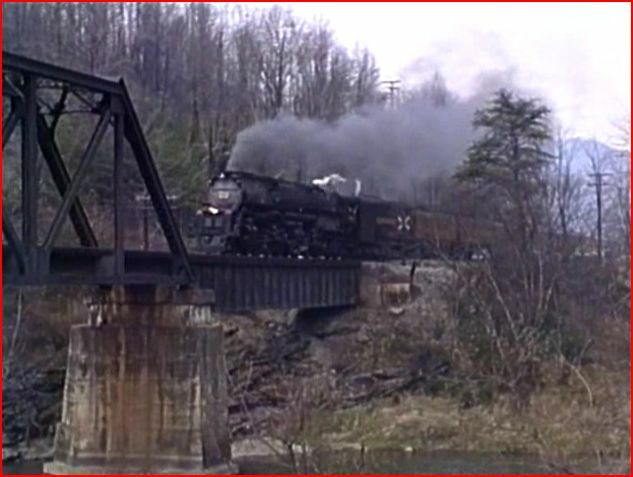 Relettered to Clinchfield, and with additional cars, the train heads towards the event. 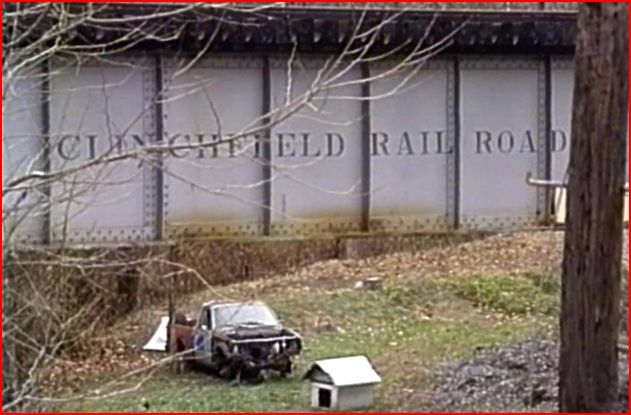 Veteran modelers will recall the landmark series, Build The Clinchfield in N Scale. Later, the complete series was issued as a book. The point being: this line was very scenic, and with the curving trackage, was a good railroad to model. Check that old mine structure. Buyers will receive 2 DVD-R discs in a sturdy, plastic case. There is an outline of the contents on the back of the case. Three cameramen are credited to this show. 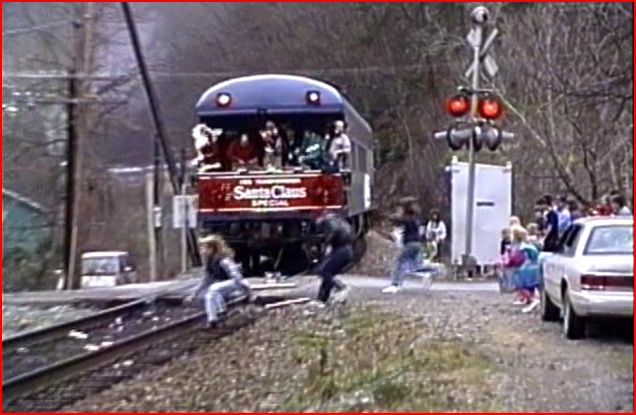 The special is chased in both directions, with the Santa Claus train in the middle of the show. There is the usual shaky camera that qualifies as amateur filmed video. Some scenes have a steady view and perhaps a tripod. There are some good views of the train. A variety of views are presented. 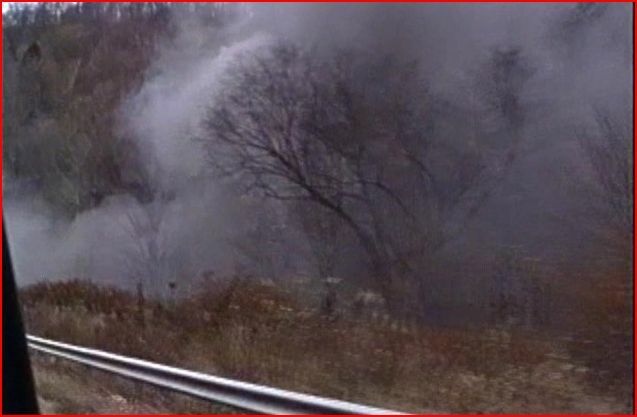 The locomotive really can smoke it up! The soundtrack is the ambient live sound. 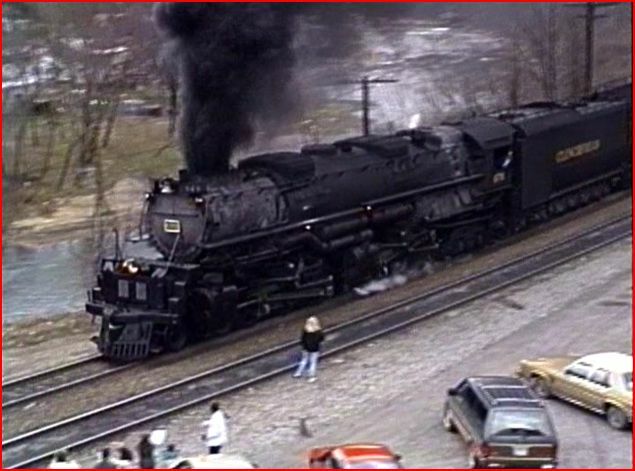 That is generally the locomotive. It can be: people talking, but not to this show. Otherwise, cars whooshing past or a few ding-ding crossings. None of the environmental sounds will ruin the viewing. Overall, the audio is fine. In search of a nice shot of 676. Extraneous shot from a sequence, that just doesn’t work. 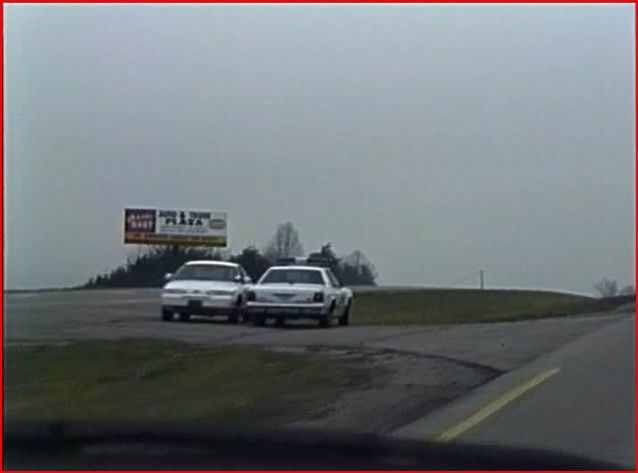 Part of the same scene, that shows vehicle traffic. These are the types of things that should be deleted. 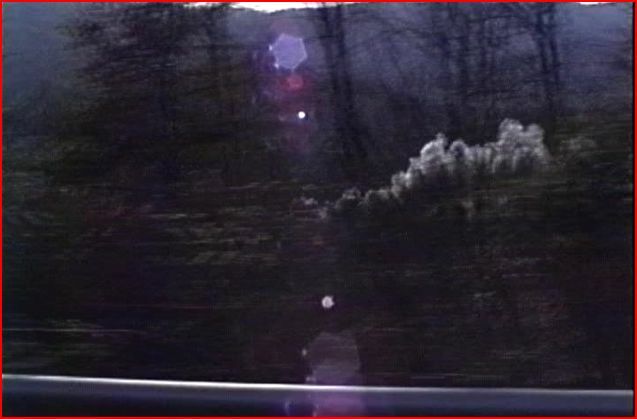 Weakens the pace, and doesn’t add to the story, about the train. Viewers are not interested in, the trip in a car or traffic jams. Much of Part 1 needs edits. As with many other amateur shot productions, they tend to run too long. Tighter editing would raise the overall viewing experience. A tendency to include everything has some viewpoints being overdone. These are often made from, less successful footage. 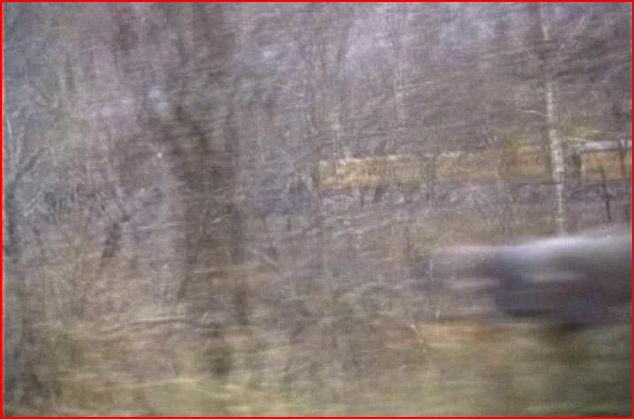 How many scenes like this: looking through the trees, from the car are necessary? The many views thru the trees, appear to be: a lesson in, forest fire fighting, or botany. Are the clear views more satisfying? This makes a strong statement and adds to the story. There are classic scenes, but it drags in between. 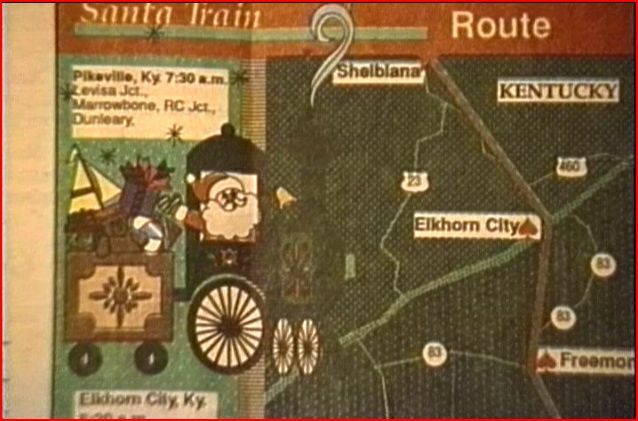 Santa Claus and his helpers will toss gifts to the kids, from the moving train. Of course, the children are having fun! The 2nd disc is of the return trip. 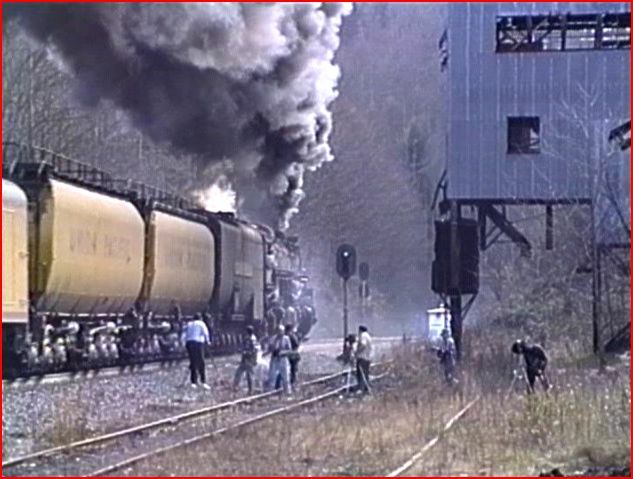 There is much less obscured footage on the C&O. 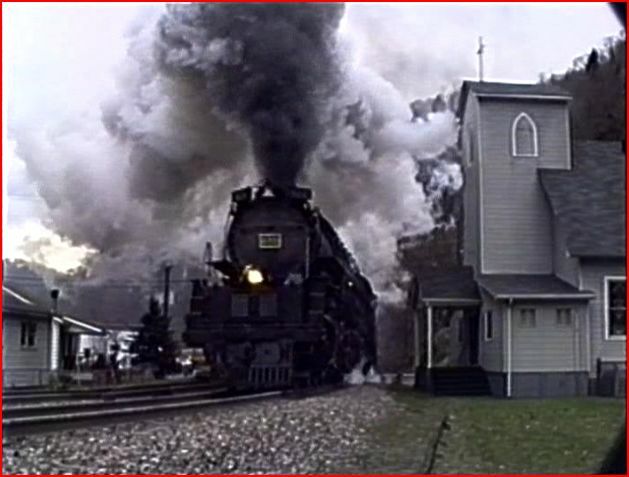 This shot gives an idea of the size of this massive steam engine. 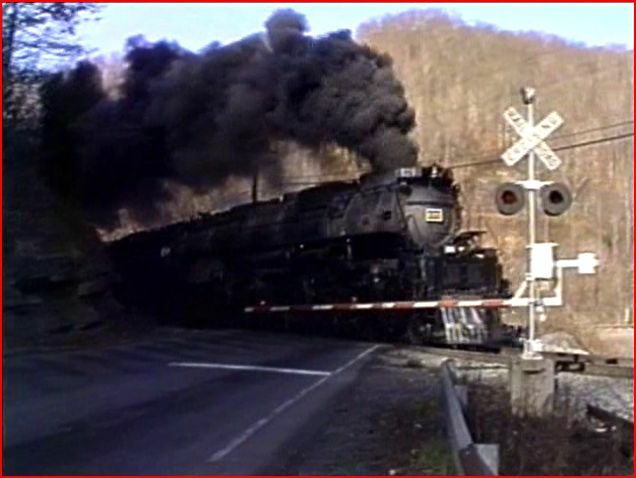 Clinchfield 676 slows to a halt here. The maintenance men will grease the running gear. This 2nd disc wouldn’t play right, soon after this point. It would be interesting to see a single disc version of these films. A brisk pace of the good shots, would result in a higher level program. A narrative would enhance the show too. The 2nd disc is defective. This one doesn’t play thru to the conclusion. DVD-R issues, again. $40 for this? Not recommended. You are aware of the shortcomings. Not rare or smooth…a $40 amateur show.. 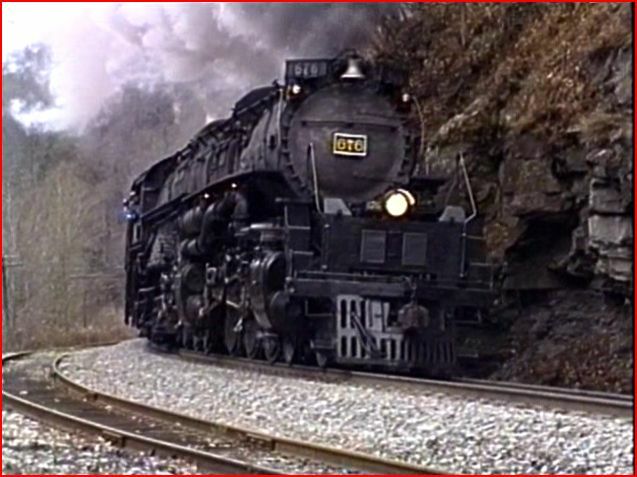 This entry was posted in ATVR Reviews, John Szwajkart, Steam Train Reviews and tagged American Train Video Reviews, C&O, Railroad, steam train, Train DVD, Union Pacific by William J. Hudson. Bookmark the permalink.